“Adammair Flidaise Foltcháin, that is Flidais the Queen, one of the tribe of the god-folk (the Tuatha dé Danaan), she was wife of Adammair, the son of Fer Cuirp, and from her cometh the name Buar Flidaise, the Cattle of Flidais. That would seem to settle it, although many of the figures in her story (next post) are definitely legendary (Fergus, Bricne) or on the borderline, like Medb. Flidais, however, shares many qualities with other Irish deities. In an earlier post on Damona, I mentioned that there are many magical cows in Celtic myth. The Gaulish Damona was the “Divine Cow” while Irish Boann was the “White Cow”. Cattle were both wealth and food in ancient Ireland, so superabundant cows were clearly the symbol of a wealth-giving god/dess of abundance. Brigit and the British goddess Verbia are also associated with cows. Manannán mac Lir also had magical cows that gave superabundant milk. Both also had magical powers, including magical cloaks. The sea-god shook his between his wife and her lover that he might forget her, while Flidais used her to break up the fight between her lover and her husband. In addition to cows, Flidais had deer to milk, while the sea-god had self-renewing swine. Flidais left her husband, Oilil, for Fergus mac Roich, whose virililty was such that he needed seven women or Flidais to satisfy him. (MacLeod points out that this says as much about Flidais’ capacity as Fergus’.) Another Irish goddess, the Morrigan, also had a lover of extreme sexual capacity – the Dagda. She also transformed into a stag in one myth, linking her with the goddess of the wild. Both seem to have been capricious with their favours. Luck followed them both, and left with them: it was said of Fergus, “his householding in the east was not good after Flidais”. 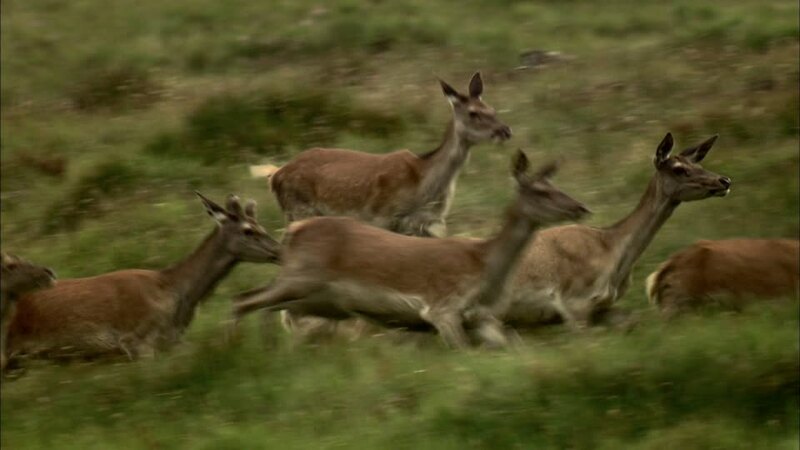 I will be discussing in another post other Celtic goddesses of the hunt and the wild but the fact that there are similar goddesses makes an Irish goddess of deer or wild animals more likely. There are other goddesses in Celtic myth and legend who either have animal names or appear horned, and I will be discussing them in another post. Since Celtic deities seem to run to types, there may well be a goddess of of wild animals who was known on the continent and in Britain as well as in Ireland. Her daughters were also considered members of the Tuatha: Bé Chuille was a druidess and Bé Téite, whose name means “wanton” or else “assembly, gathering” (MacLeod: 10); the two seem to be channelling different aspects of their mother. Another daughter was Fand, also renowned for her beautiful hair; she was Manannán’s wife, the one who dallied with Cúchulainn and had to have the cloak shaken between them. A healing spell mentions the “three daughters of Flethnais”, which may be a version of the modern Irish Fliodhais, derived from Flidais. It seems to me that if the medieval Irish considered her a goddess, as well as her daughters, then we should probably take their word for it. Flidais shows many similarities to other gods and goddesses in the irish pantheon, which strengthens the case for including her. Schjoested’s linking of Flidais and Tethra is important here, because both governed wild food – going back to the hunter-gatherer stage of human existence, but continuing to be important even after farming took over. It makes sense that, given the unpredictable nature of fishing and hunting, deities that could be propitiated and give success would arise. From there, Flidais seems to have become a goddess of general abundance, which is why she has a supernatural cow, can milk deer, and, like the Dagda and Manannán, gives feasts. In my next post, I wll be discussing the only story we have about her – the Táin Bó Flidhais, or the Driving of Flidais’ Cattle. A dissenting view on Flidais, with lots of information on other deer-goddessses and horned goddesses. Wonderful summary, including some connections I have not read but now intend to. She is almost portraying her as a female Curnnunos/Herne. I have petitioned this deity in animal rescue work and asked her to watch over my fur-kids and to take them safely to their Summerland. I’ve been thinking about this, and there’s at least one instance of Cernunnos having a female partner, and a few statues of horned goddesses who shared his iconography. There’s no obvious connection between these goddesses and Flidais, but it shows that Cernunnos had female equivalents. Yes – like Cernunnos she governs wild things and abundance. I think there is a strong resemblance between the two. I sense that she is a very protective goddess, so your instincts were right to choose her.